Changing your polish? 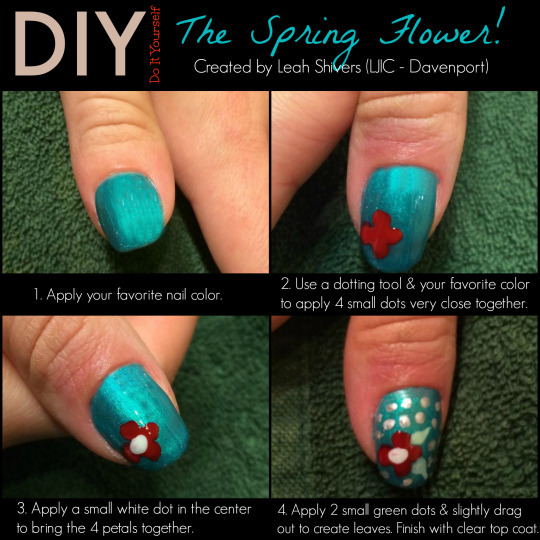 Next time add this simple flower design… perfect for the spring season! 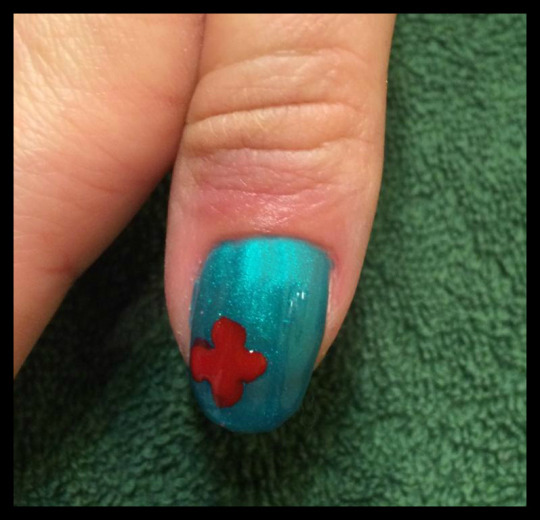 Today’s TuesTorial comes from Leah Shivers (Cosmetology Students at La’ James International College in Davenport). 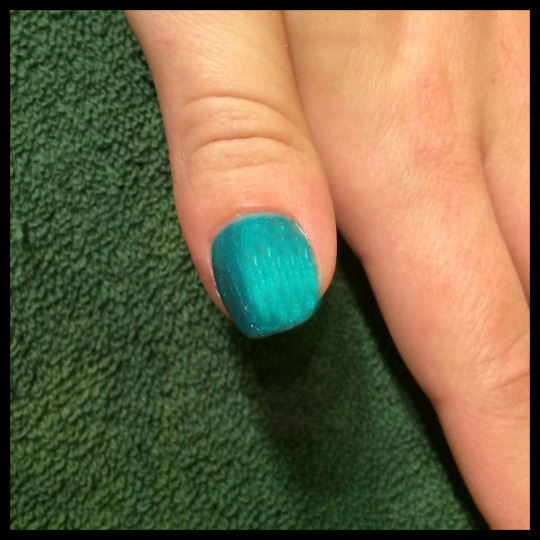 Step 1: Begin by applying your favorite nail color. Step 2: Decide your flower color. 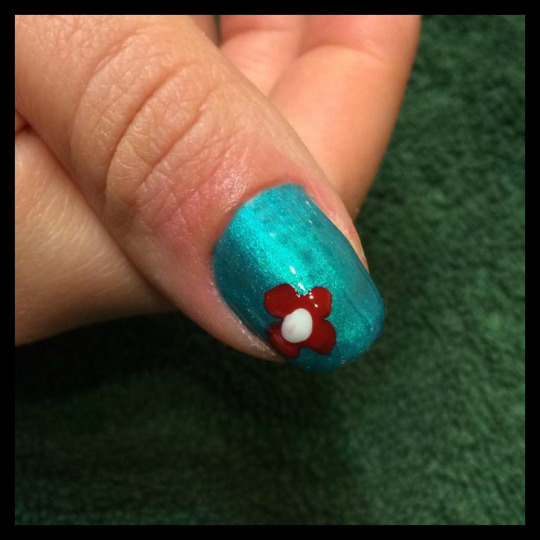 Then using a dotting tool, arrange 4 small dots close together to form the flower petals. Step 3: Apply a small white dot in the center to bring the 4 flower petals together. 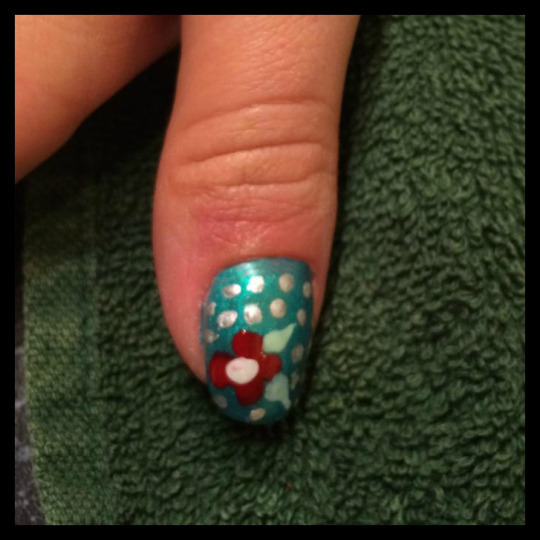 Step 4: To create the leaves, apply 2 small dots and slightly drag the polish out using the dotting tool. Finish with a clear top coat. Great tips & thank you Leah for participating in this week’s LJIC Tues-torial! If you interested in learning more about upcoming programs and starting your journey at La’ James International College then call 888-880-2108 or visit www.LJIC.edu today!